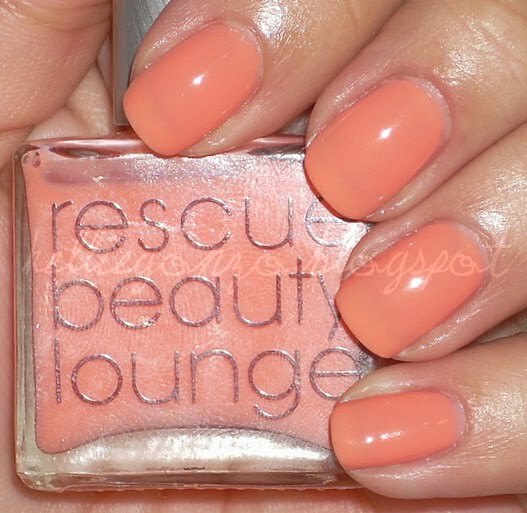 rescue beauty lounge recycle is one polish i've been lemming for A LONG TIME. of course, we all know why. for those of you who don't, i'll let you in on the secret. ZULU. nars zulu, that is. 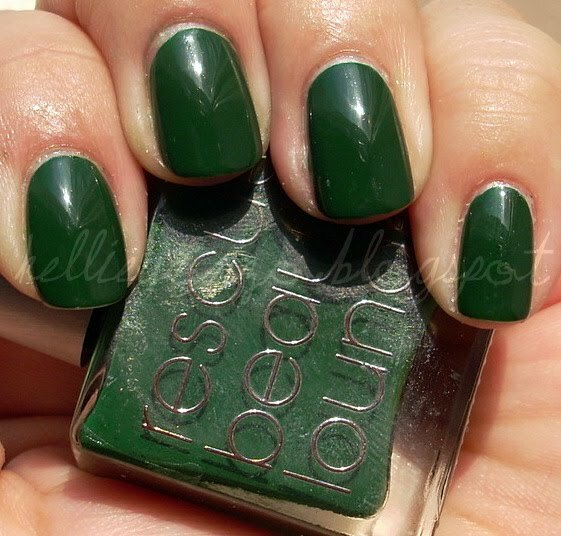 the famed discontinued dark green jelly polish that most of us will never see in real life. 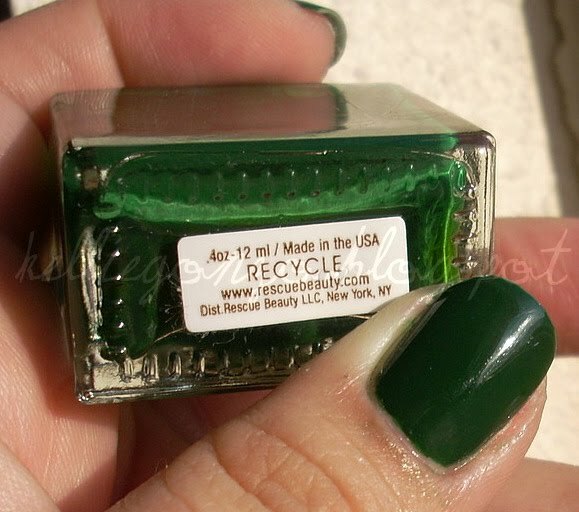 but recycle can make a small part of that dream come true. and i finally got it! 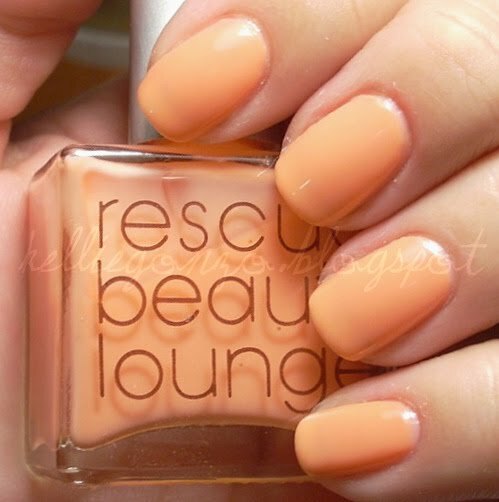 lovely dark and super easy to apply, jelly-like but creme like too. 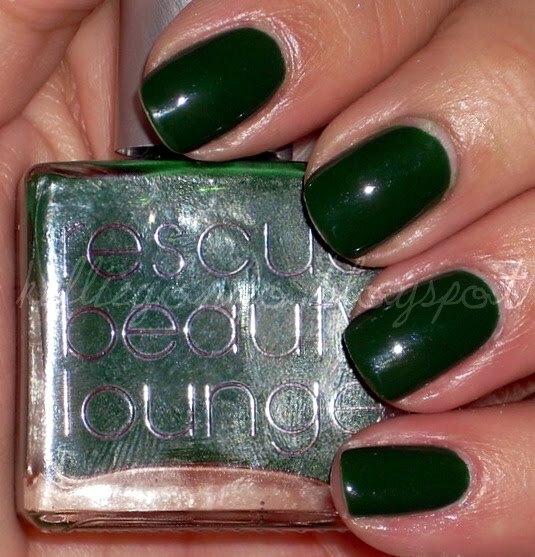 this is 2 coats. excuse the tipwear, these pictures were taken on day three i believe. 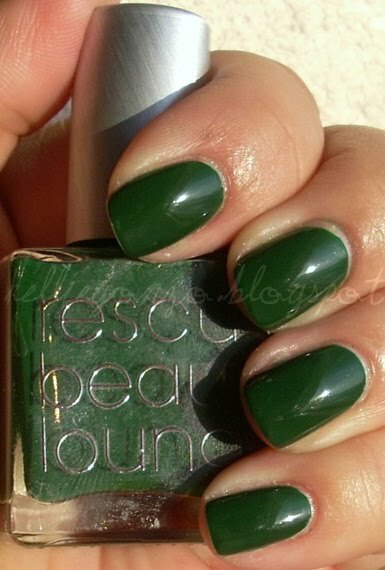 it looks pretty dark indoors, but is a definite green. much more so in sunlight. 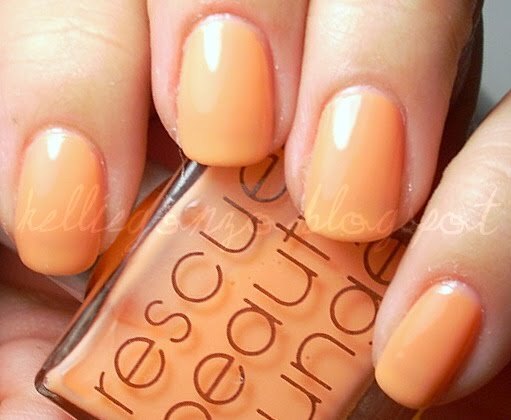 rescue beauty put out some "spongebob squarepants" themed polishes and i think they are all hilarious and adorable. 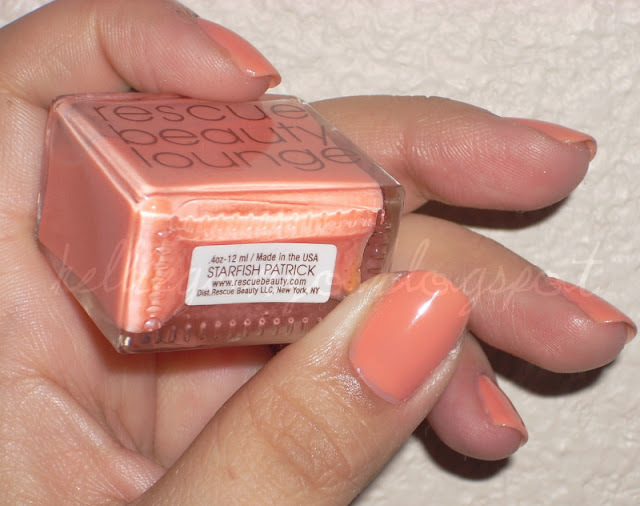 i got starfish patrick, named for spongebob's cute albiet clueless sidekick. 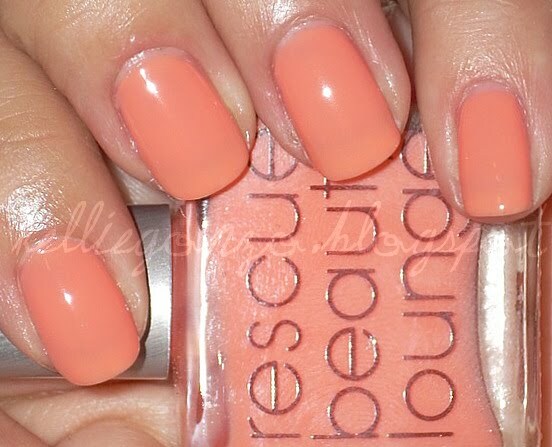 it is a sheerish jellylike cantalopey orangey pinky color that i adore! in the flash pictures it looks rather pinky but it leans more orange IMO. 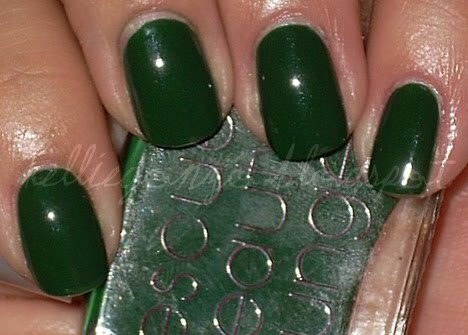 this one is pretty sheer, so you have to build it up if you don't like visible nail line. this is 4 coats i think and i still had a little VNL, but i don't mind it. hope everyone is having a great groundhog's day! i know i am :) off to have sushi for lunch soon!